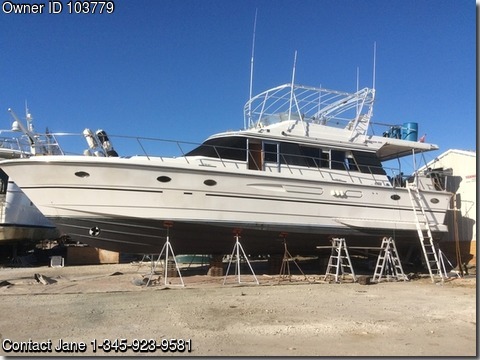 Boat is located in Key West,Fl.Please contact the owner @ 345-923-9581...Perfect live aboard cruiser. Galley up and spacious saloon. Sleeps 8 in 4 cabins. Master stateroom with queen bed and large en-suite bathroom. Queen bed in forward stateroom. Twin bunk cabins, 2 additional heads and showers. Large aft deck with ample seating and large flybridge with additional seating. Approx 900 sq ft of living space. 60 gph water maker, 15kva generator, dishwasher, washerdryer.